NORTH BERGEN, N.J. – The USDA IR‐4 Public Health Pesticides Program recently published the results of one of their funded projects, a field study conducted by the Department of Entomology at Rutgers University in 2013. Results of the study revealed that EcoRaider, a 25b exempted bio-insecticide, shows similar control on bed bugs to that of a leading professional pesticide. The field study was conducted in a high-rise public housing apartment building in Irvington, NJ with a known bed bug infestation. Temprid SC was used for means of comparison because it is a popularly used product previously proven to be highly effective against bed bugs and used by many professionals. After 12 weeks of evaluation on 24 treated apartments, the study concluded that “no significant difference was found between Temprid SC and EcoRaider” in the overall bed bug reduction rate. 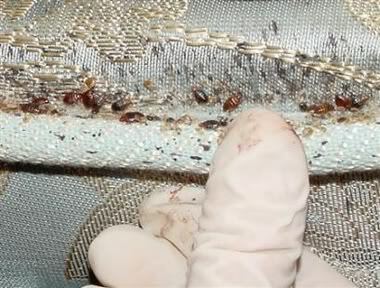 Bed bugs can be difficult to control in public housing settings. The apartments are often inhabited by the elderly who are reluctant to vacate the premises, typically have more clutter and are willing to do less prep work. Tenants often struggle with long-term infestations and have gone through a variety of treatments with consumer or professional pesticides. According to researchers from Rutgers University, bed bug populations in such environments are typically found to have “moderate to high levels of resistance” to pesticides. 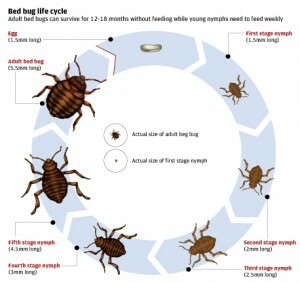 Since bed bug work requires treating the bed and sleeping areas, there is a concern over misuse of pesticides and the associated health concerns that might have. Therefore, having this study identify a ‘low-risk and effective alternative pesticide’ is an important initiative for the USDA IR-4 Public Health Pesticides Program. The program supports the development of new pesticides to protect public health. EcoRaider is a 25b exempt minimum risk pest control product manufactured by Reneotech Inc, North Bergen, NJ. It carries no signal words or cautions, and has no label restrictions or precautions on usage. As a green product, EcoRaider is ideal for sensitive environments where low impact methods are advised yet high efficacy is needed. 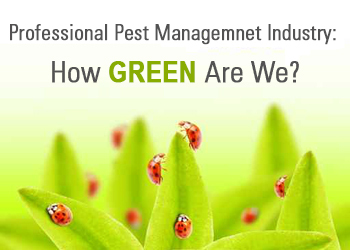 How “Green” is the Pest Control Market? It may be greener than you think. As any good (and successful) marketer knows, broad consumer trends, interests, and concerns drive the marketplace, whether it’s for durable goods, consumables, services, or causes. This trend toward ‘green’ that started with late 60’s Baby Boomer activism has now gone mainstream and has largely been embraced, to one degree or another, by the majority. That trend is now accelerating with the information savvy Millennials. Nearly four in 10 American say they are dedicated to buying green products and services (ie either “almost always” or “regularly” buy green products) – which is a 6 percentage point increase over 2012 results, and equates to about 93 million Americans. 78% of apartment renters want environmentally friendly products. Recurring pest issues cause 60% of apartment renters to look for a new place to live. And while not the most prominent problem (flies and ants are,) bed bugs cause the most angst among apartment dwellers. 39% say it is the pest they would ‘least’ like to see in their apartment—higher than rodents (28%), roaches(26%), ants(2%) or flies(1%). A recent article (March 20, 2014) in PCT Magazine by Jay Bruesch, technical director at Plunkett’s Pest Control in Fridley, Minn, provides an excellent primer on the topic of ‘green’ pest control. 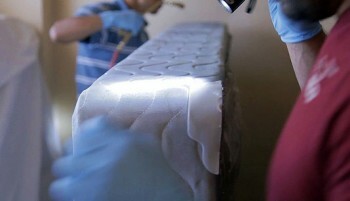 In his article, “Green Pest Management – From Program to Practice — http://www.pctonline.com/pct0314-green-pest-management-programs.aspx Bruesch pointed clearly to where the pest management industry is now, and where it is heading in his opening paragraphs. “Our clients are increasingly adopting green practices because they are truly concerned about the environment, and want to do their part to protect and conserve it….Expect them to demand green options for their pest management programs as well. In the past, the meaning of “green” was fuzzy. Today, our clients have formal green programs from which to choose. It’s up to us to find out what they require and want, and offer them programs that meet their needs. In January of 2014, the NMPA (National Pest Management Association) published in that month’s PestWorld newsletter it’s “Vision 2020”, outlining future trends and implications for the pest management industry. The following paragraphs from the report, under the heading “Science & Technology” are important because they clearly point to a ‘greener’ pest control market. “Chemistry. The PPM industry is just beginning to see “softer” chemical and biological solutions that work as expected and also have improved safety or environmental profiles. This trend will continue in the coming years, as technology partners strive to meet the public’s growing desire for solutions that are as effective as they are sustainable. 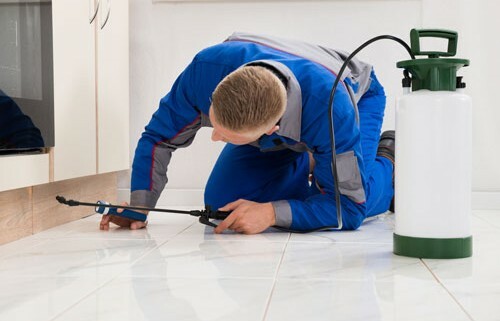 The broad societal trend toward ‘green’ solutions to everyday problems – including pest control – has not been lost on a number of Pest Management Professionals either. They have already seen the growth in the ‘green’ market and have responded to it. A quick Yellowpages check of local pest control companies in most any locality will reveal any number of companies with the words ‘green’ or ‘natural’ (or other variations of those concepts) in their advertising or touted on their websites. A quick Google search for “green pest control companies” within the US will return nearly 3 million results. Clearly, there are a lot of PMPs that already ‘get it.’ ‘Green’ is no longer just a buzzword, regardless of how fuzzy and ill-defined the term may currently be. At EcoRaider, we are committed to our belief in the “power of green” – the development of environmentally friendly, sustainable products for pest management professionals. https://ecoraiderpmp.com/wp-content/uploads/2014/07/right_home.jpg 250 350 EcoRaiderpmp https://ecoraiderpmp.com/wp-content/uploads/2017/04/EcoRaider-PMP-BASIC-LOGO-wz-slogn-300x104.png EcoRaiderpmp2012-01-14 13:13:532015-01-07 18:37:19How “Green” is the Pest Control Market?